Annnd, another month is done. The holiday season is sneaking up on all of us and we are welcoming the fall weather with open arms. You are getting a special Saturday edition of my Month In Review this month. You can thank my computer battery for totally dying earlier this week, it wouldn't even turn on when it was plugged in. Thank goodness for the Amazon Prime app and 2-day shipping!! Since it's not summer any more, I broke out my fall decorations and invited you in for my Fall Home Tour. The master bathroom is the last room in our home to get any attention. 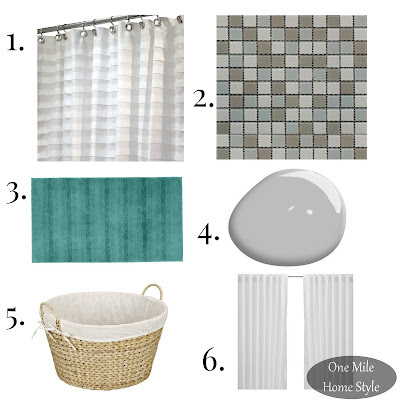 I finally created our master bathroom mood board, and have started gathering my makeover supplies. 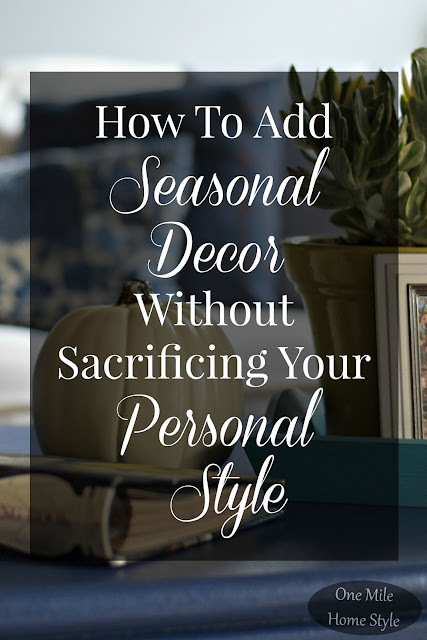 Now that everyone has all of there fall decor out, I shared tips on how to add seasonal decor to your home without sacrificing your personal style. 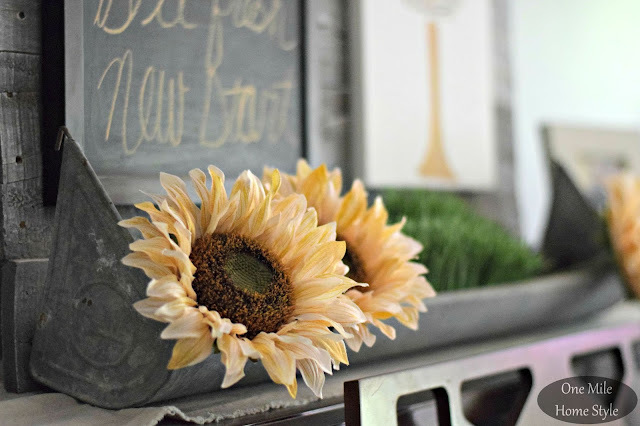 And to round out the month, I joined 8 other bloggers to style a simple wooden tray. 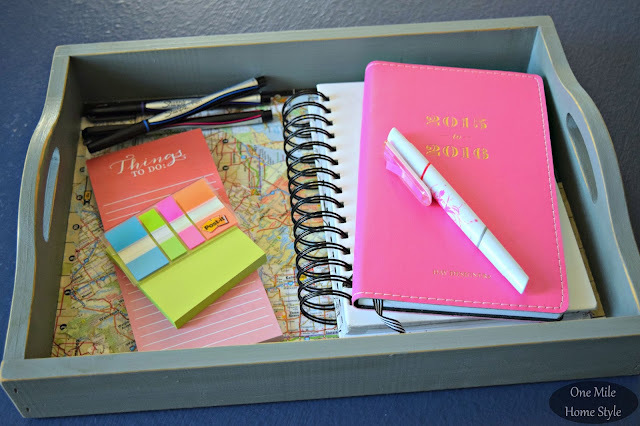 I created a portable office space, and used an old atlas to line the inside of the tray.